Gulse is a 23-year-old Swedish-born model who has also starred in a Turkish television series. The Arsenal midfielder was permitted extra time off after enduring a poor run of form for the Gunners and he has taken the opportunity to fly to Turkey. 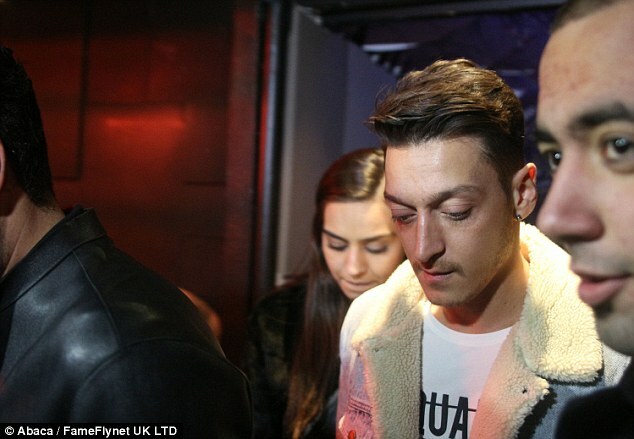 Ozil, who is of Turkish descent, was photographed leaving a restaurant alongside Amine Gulse, a former winner of the Miss Turkey beauty pageant in 2014. The pair, who have confirmed they are just friends, were also spotted together last week dining out at Novikov back in central London. 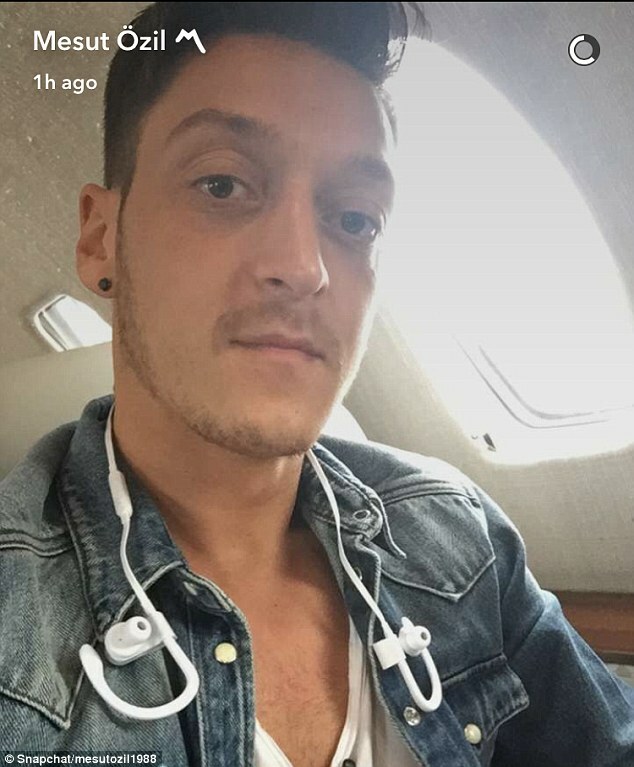 Ozil had posted a picture of himself on a plane on his official Snapchat account before his side’s 2-0 win over Sutton in the FA Cup on Monday after earlier training at London Colney. The midfielder has been granted the extra rest with Arsenal’s next game not until 4 March when they face Liverpool. The Gunners were due to face Southampton this weekend but the Saints are in EFL Cup Final action against Manchester United on Sunday. Ozil’s agent last week hit out at the media for a perceived ‘scapegoating’ of his client. 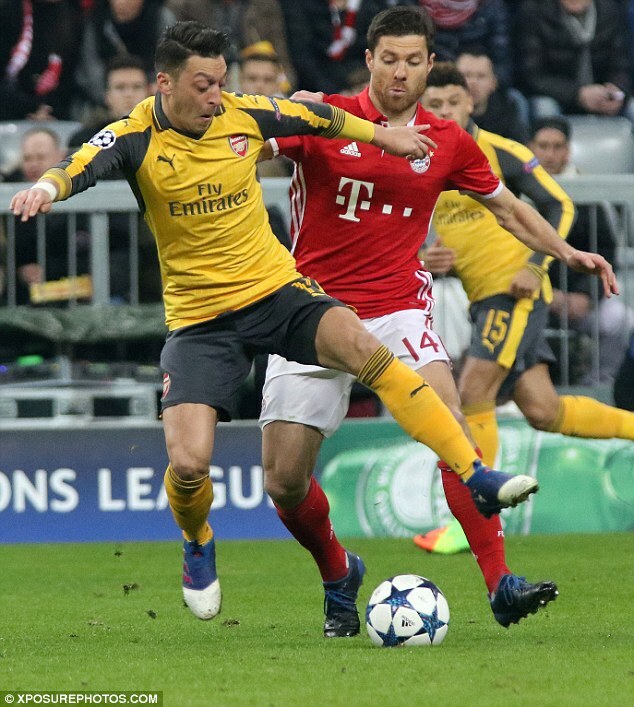 Dr Erkut Sogut said Ozil felt people were not actually focusing on his performances and instead were unfairly blaming him for the team’s shortcomings – particularly following Arsenal’s 5-1 defeat by Bayern Munich. That defeat looks to have condemned Wenger’s side to a seventh consecutive last-16 Champions League exit but they are now through to the FA Cup quarter-finals, where they face another non-league side in Lincoln City. In the Premier League they are currently in fourth place, 10 points off leaders Chelsea.